With the lines of what’s ethical blurred. In the folks who just barely behave. If not for its Oscar nominations, it’s doubtful I’d ever have watched Hell or High Water, since a modern heist western with an R rating isn’t the kind of film that would normally catch my interest. Yet this film turned out to be a pleasant surprise, and even if it had zero chance of winning Best Picture, I see why it was counted among the best films of 2016. Chris Pine and Ben Foster play two brothers, Toby and Tanner Howard, who embark on a robbery spree of Texas Midlands Bank branches, taking only small scores early in the morning. While Foster’s Tanner is the wild card who enjoys the criminal undertaking a bit too much, Pine’s Toby is the level head behind it all, revealing much more clever planning than Tanner’s improvised antics might indicate. 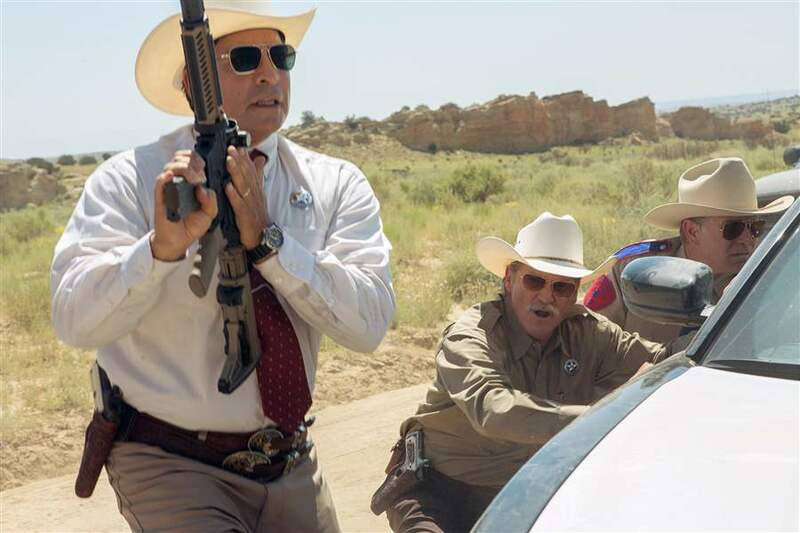 Opposite these masked outlaws are Jeff Bridges as Texas Ranger Marcus Hamilton and Gil Birmingham as his half-Indian deputy Alberto, trying to track down the robbers and figure out their motives. While the Howard brothers are ostensibly the bad guys, the conflict isn’t good versus evil; it’s the law against the desperate. Toby and Tanner sticking it to the banks is part revenge but also done with selfless intentions, and Pine’s natural Captain Kirk likability ensures that the robbers never lose our sympathy, despite his criminal brother’s recklessness. While the whole cast are in top form, with Bridges especially fitting his grizzled lawman role like a glove, the true star to me is the screenplay. There’s an evident bitterness toward the financial crash and predatory banks, as seen in building after building being foreclosed, and a perceptive commentary of the state of the classic West: cowboys coexist with neon green sports cars, and Alberto comments on the karmic irony of the land once again being taken away from its former owners. As for characterization, the relationships and conversations between characters seem to share a kind of grudging respect. The brothers bicker and cuss at each other but are still loving brothers at the end of the day, while Bridges’ Ranger enjoys teasing Alberto with all manner of Indian insults, but they know each other well enough to recognize the fondness behind the traded barbs. Even in the final scene, after things hardly turn out as any of them hoped, there’s a hint of respect behind the antagonism. In addition, the film captures the down-to-earth attitude of Texas in general. As Ranger Hamilton says, “I love West Texas,” where the waitresses tell you what to order and the populace isn’t afraid to fight back. 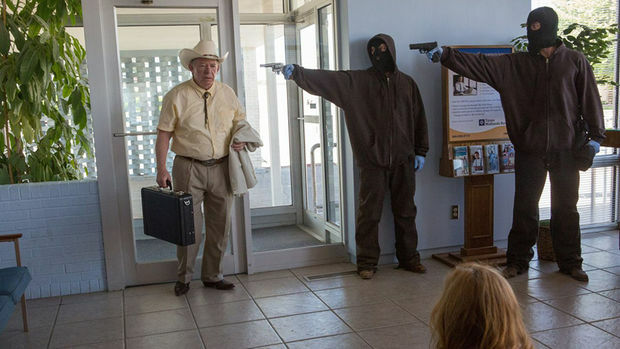 I loved when the patrons of one of the robbed banks actually peppered Toby’s car with gunfire and gave chase to the bandits; I doubt you’d see that kind of reaction anywhere else. 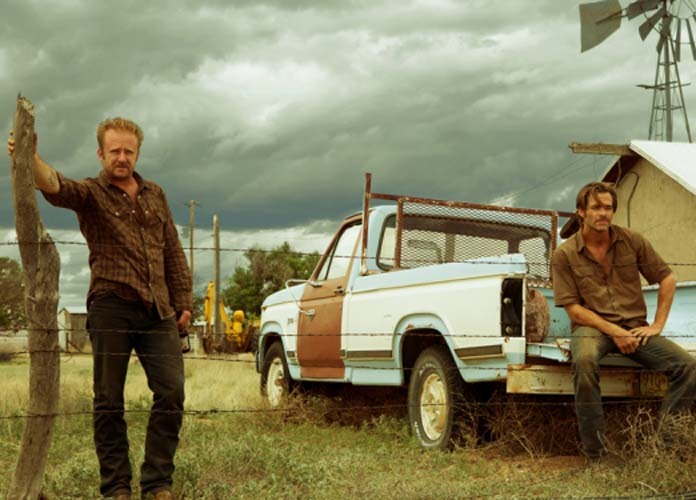 Hell or High Water still had too much language for my taste and a few violent moments, but overall it’s proof positive that Westerns are far from dead, even the familiar cops-and-robbers story. With a script that should have won the Oscar and an ending at once sad and fitting, it’s got all the grit and heart of a potential modern classic. And yet no other came. For which they were to blame. And justice did the same. For someone who loves movies, I do seem to have some glaring blind spots when it comes to expanding my repertoire. I’m a stranger to Tarantino and zombie films (though I don’t really care to be acquainted), and I’ve just recently begun exploring the most recent James Bond, Oliver Stone, and classic Hitchcock. One actor/director I know more by reputation than experience is Clint Eastwood. High Plains Drifter is actually the first western I’ve seen of his, and it confirmed why he is such a commanding screen presence. Drawing from Eastwood’s experience with spaghetti westerns, High Plains Drifter also borrows certain elements from the likes of Seven Samurai and High Noon. 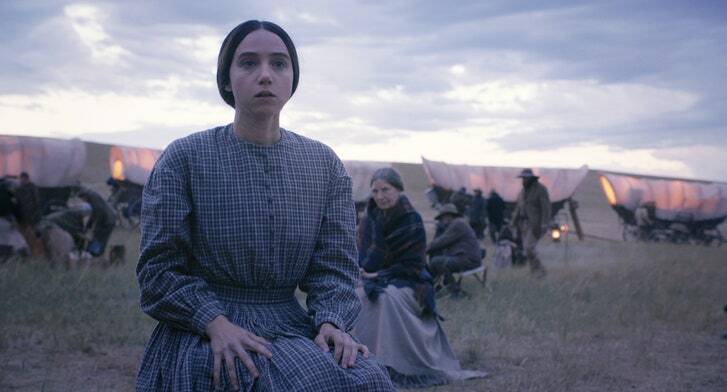 Like Seven Samurai and its American remake The Magnificent Seven, the small desert town of Lago, named for the oddly located lake bordering it, lives in fear of the return of vengeful bandits and looks to a skilled stranger for salvation. 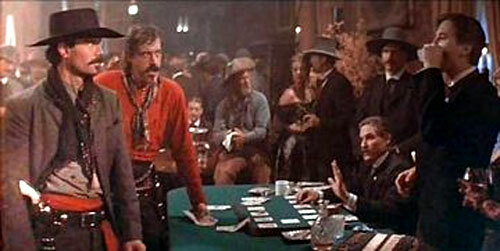 Like High Noon, the film builds to the inevitable showdown between the lone defender and the encroaching enemy. 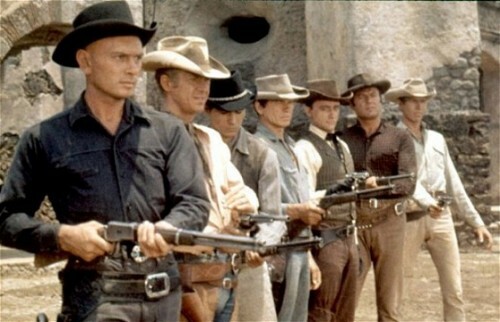 A key question that sets High Plains Drifter apart, though, is “Is the town worth saving?” The townspeople in Seven Samurai and High Noon were prone to ingratitude and fear, but the settlers of Lago sit upon a cruel secret that takes much of the sympathy out of their plight. He was lookin’ for a job to take. With a metal bull or bronc. And the marriage quickly fell. This is it, the original bottom-dweller. This is the first movie I sat through and immediately hated, or, to coin Roger Ebert’s quote from his review of North, I “hated hated hated hated hated this movie.” Urban Cowboy was yet another star vehicle for John Travolta, but with films like this, it’s a wonder he became a star at all. I don’t usually subject myself to terrible films, but never before have I asked “Is it over yet?” so many times. It starts out with some promise: small-town wannabe cowboy heads to the big city to find his fortune, meets girl, marries girl. That storyline alone might have been worth seeing, but the relationship between Bud and Sissy is hardly one for the ages. They meet each other in the famous Gilley’s Club, a multi-acre theme park of booze and cowboy paraphernalia, and Sissy (Debra Winger) has to practically twist Bud’s arm to convince him to dance with her. After some dancing and an argument and a roll in the mud, they’re suddenly walking down the aisle. Did either of them really think a marriage starting like that would last? As it turns out, barely a week passes before Bud’s pride is hurt, and both go their separate ways to make the other jealous, with increasingly depressing results. One of my biggest problems with Urban Cowboy is the character of Bud. Travolta isn’t appealing in the slightest; he’s a juvenile man-child so unconfident in his masculinity that the slightest hint that someone may be better than he throws him into a blind rage, especially if it’s his own wife. In addition, he’s the kind of bumpkin that gives country music a bad name, content to work (sometimes) during the day and wile away his nights at the bar, picking fights and slapping his wife when she disagrees too much (but not too hard, of course). Plus, he’s supposedly in Houston to work and save up enough money to buy land and become prosperous, yet never seems to realize that he’s pouring his paycheck down the drain every night on beer and bets and pointless mechanical bull rides. Oh, and let’s not forget that he doesn’t just pretend to cheat on Sissy to make her jealous; he freely sleeps around, too stubborn to actually care for the girl he uses (Madolyn Smith) and too dense to realize why Sissy isn’t running back to him with open arms. What exactly am I supposed to like about this guy? A series of misunderstandings keeps the couple apart, and Sissy ends up with “real cowboy” Wes Hightower, played by a leery Scott Glenn, who’s just a slightly harsher version of Bud, hitting a little too hard and stealing what he can’t earn. 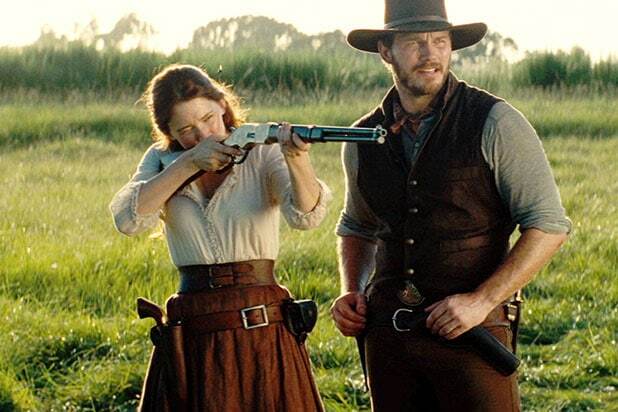 If Bud and Wes are “real cowboys”, they’re the worst kind, selfish he-men just trying to prove their own toughness to girls they only moderately care about. By the end, Bud trains Rocky-style for a mechanical bull showdown, and he seems to think that winning it will win Sissy back. How so? A silly championship is not going to repair a relationship; all his training is pointless, since all he really needed to do was go and apologize for his own pigheadedness. While he ends up doing exactly this, it’s as if he can’t muster the effort until he’s once again proven his alpha male status. Of course, it all works out for a happy ending, where assault turns into just desserts and a whirlwind romance rekindles into a whirlwind reconciliation. And then, thank God!, it was over! This just might be my most hated bottom-dweller, with hardly any redeeming value. 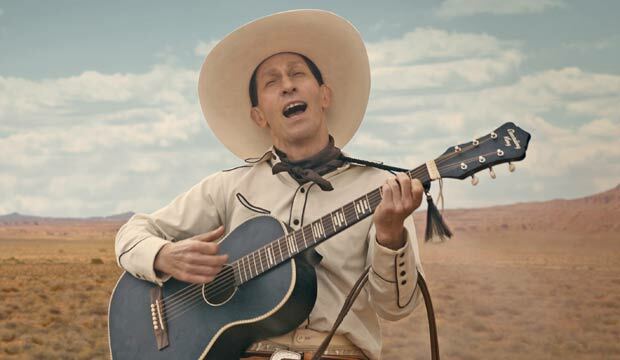 The only bright point is the classic country music soundtrack, particularly Charlie Daniels’ “The Devil Went Down to Georgia.” For reasons beyond my comprehension, my VC and many other critics actually liked the film itself, looking past its unlikable characters and petty squabbling. She tells me that she finds the movie “interesting for its dysfunctional lifestyle” and as compelling to watch as a car accident, while I’d prefer just to not look at all. I don’t plan to ever see Urban Cowboy again; I have much better things to do than watch white trash with superficial, totally screwed-up priorities cheating on each other. By hired hand Tom Chaney. And tried and hanged, just as he ought. But rather tough and brainy. To show this fiend the noose. To chase this wild goose. To tail the cutthroat thief. Miss Ross falls in a pit. Yet proves his truest grit. Easily my favorite western, True Grit is a story of perseverance and justice the likes of which I have yet to see in the genre. Based on Charles Portis’s 1968 novel, both the 1969 film and the 2010 remake have their strong points and are so similar that I had to include them together (same as my post for A Christmas Carol; the poem pretty much covers any version). The 1969 True Grit has always been a staple in my house. As evidenced by his lone Best Actor Oscar win, John Wayne found his best role as larger-than-life, trigger-happy, one-eyed marshal and “fat old man” Rooster Cogburn. Kim Darby occasionally overacts, but she displays Mattie’s fierce resolve while remaining appropriately girlish. Many have decried Glen Campbell’s performance as LaBoeuf, criticism I believe he didn’t deserve. While he’s not what I would call a skilled actor, there’s nothing particularly distracting or dreadful about his performance. Besides, when you consider that Elvis Presley was the original choice for LaBoeuf, Campbell seems even more preferable. The Colorado scenery is stunning, and Rooster’s exhilarating charge against Ned Pepper’s gang is (or should be) as iconic a gunfight as any filmed. My VC considers the 1969 True Grit sacred territory, like The Wizard of Oz or Gone with the Wind, a film that could never be matched by any remake. I, however, found the remake almost as good as the original. As excellent as Jeff Bridges is as Rooster Cogburn, with more uncouth ways and a more gravelly voice, John Wayne is untouchable and remains the main reason I prefer the first film. His delivery of lines like “Fill your hand, you son of a b****” carry so much more force and vitality than Bridges’. There’s a reason Wayne won Best Actor, while Bridges was only nominated (though he had won the previous year for Crazy Heart). On the other hand, I prefer Matt Damon’s LaBoeuf over Glen Campbell’s; Damon gives him more personality, though his separations from Mattie and Rooster seemed unnecessary. Oscar nominee Hailee Steinfeld acts more mature as the 2010 Mattie, but she’s more or less on par with Darby, in my opinion. (It’s interesting to note that the role of the ill-fated Moon in the violent dugout scene seems to go to up-and-coming stars. Dennis Hopper played the boy in the original, and though Domhnall Gleeson wasn’t well-known in the 2010 version, he soon will be from his inclusion in J. J. Abrams’ Star Wars sequel next year.) Overall, both films boast an exemplary cast that put them on almost even footing. The Coens’ film may be more artistic and realistic (the flat prairie setting is more as Oklahoma should look than the mountainous vistas of the original film), but the 1969 version is more enjoyable to watch. Even with the onscreen death of a major character, John Wayne’s greatest film ends on an uplifting “Yee haw” note rather than the somber narration of the remake and book. Both are excellent, but John Wayne tips the scale with the culminating performance of his career. Known as Zorro, who has allies and sworn enemies galore. He arrests him and abducts his child Elena wickedly. Bringing his adopted daughter back with him to Mexico. But the sight of his Elena causes him to hesitate. As a bandit with his brother, but he soon is all alone. Prompting in him dreams of vengeance, which at this point are in vain. And he trains him in sword fighting in his secret Zorro lair. Posing as a wealthy don to learn of what Montero’s planned. Cannot help but be enamored of this masked intruder too. He shows off poor peasants forced to labor in his El Dorado. Even as the bad guys try mass murder to hide evidence. And Elena helps their struggle, thanks to shocking truths she knows. Though the latter man is wounded, dying worthy of salute. And he shares their grand adventure with Joaquin, their infant son. The Mask of Zorro isn’t exactly an origin story, but a changing of the guard from one Zorro to the next, a difficult endeavor that was amazingly satisfying. The opening action scene of Errol Flynn-style derring-do conveys a lifetime of such heroics, and expert thespian Anthony Hopkins as the elderly Zorro pulls it off, even if his accent is out of place. Antonio Banderas fits in perfectly both because he is actually Hispanic and because his swashbuckling swagger is one of the film’s main pleasures. Banderas was a natural at sword fighting, according to fight choreographer Bob Anderson, and I’m not surprised. Another big draw is his on-screen chemistry with Catherine Zeta-Jones, who manages a seductive Latina allure despite being Welsh. The film is basically a revenge tale set against a historical backdrop. Historical events, such as the Mexican-American War, are mentioned in passing, and Alejandro’s brother and accomplice were real Mexican bandits who met the same grisly fate (more or less) as in the film. Any historical inaccuracies are not as glaring as in the 2005 sequel The Legend of Zorro, which pales in comparison to the drama of this original. Though a few scenes during de la Vega’s prison escape recall Spartacus and The Count of Monte Cristo, the film is still dashingly original while paying tribute to its many predecessors from the first half of the century. At a time when overblown reboots were just starting to become the Hollywood norm, The Mask of Zorro favored practical stunts and emotional narrative over gimmicks or cinematic extravagance. It’s a thrilling and mostly clean film (aside from one or two scenes) that brings to life one of the original “superheroes” of pulp fiction. Free to run, as they have for all time. This Spirit’s unrestrained, till he falls under man’s control. Yet he keeps on fighting to live on his own. But, helped by an Indian, he breaks out in haste. But he introduces his fair mare named Rain. More room for kindness than he had first guessed. And rescues the boy from a sudden attack. As he helps drag a train up a slope. Relieved loyal Little Creek thankfully came. Spirit’s glad when a healed Rain arrives. But they know it’s time that the mustang returned. And at last he again embraces his home. Spirit: Stallion of the Cimarron was one of my favorite movies growing up. As I’ve said, movies that have made me cry hold a special place in my heart, and Spirit is one such Childhood Tearjerker. DreamWorks knew from the start that most adults and kids alike love horses, and seeing such a wild and free creature dragged from his home was enough to get my waterworks going. It still touches me, though I don’t weep like I used to. The animation is absolutely stunning. While some of the CGI from the opening is obvious, still lovely but paling in comparison to that of Dinosaur, the rest of the Western landscapes and the hand-drawn horses are gorgeous (especially the gorges). I’m no artist, but most agree that horses are among the most difficult creatures to draw: after all, Maurice Sendak illustrated Where the Wild Things Are with assorted beasts only because he realized he couldn’t draw horses. Not only are the horses arrestingly beautiful and convincing, but their facial features evoke the full spectrum of emotions without ever lapsing into anthropomorphic talking animal territory. Spirit himself has some inward monologues, provided by Matt Damon, who could have varied his voice more, but the rest of the animal interaction is done skillfully with emotion-filled neighs, whinnies, wickers, nickers, brays, and countless other equine ejaculations. So well is the wordless interplay handled that much of Damon’s voiceover, which ranges from stirring to funny, seemed unnecessary, though my VC felt it served to break up all the whinnying. Then again, that is why Bryan Adams’s excellent anthems were included. Along with a rousing orchestral score that once again proves Hans Zimmer’s musical facility, Adams’s songs provide the melodious heart of the film. Though some critics decried the soundtrack as “whiny” or “insipid,” I felt they added so much to the film. It may not be on the level of what Phil Collins provided for Tarzan, but every song strikes the right chord of emotion, from free-wheeling liberty to depression to rekindled hope. “Don’t Let Go,” which features Sarah McLachlan with a haunting harmony, certainly deserves a place in my End Credits Song Hall of Fame. Over the years, I have still seen some flaws: the intruding humans are uniformly bad because of their enslavement of horses, and I don’t usually like to feel guilty for wanting to ride a horse. Since all the Indians’ horses appear happy, the film seems to imply that only they built any relationship with their ponies. All the soldiers’ horses seem to hate their masters and frequently sabotage them, not allowing for the fact that I’m sure plenty of cowboys shared a connection with their steeds. After all, even broken horses can be happy. Spirit: Stallion of the Cimarron is nonetheless a lovely, G-rated adventure with fantastic music and some genuinely exciting action sequences. It was DreamWorks Animation’s second-to-last hand-drawn film (before Sinbad) and causes me to miss the days before CGI became the only animation style successfully used in film.